The New York skyline from Pier 90. 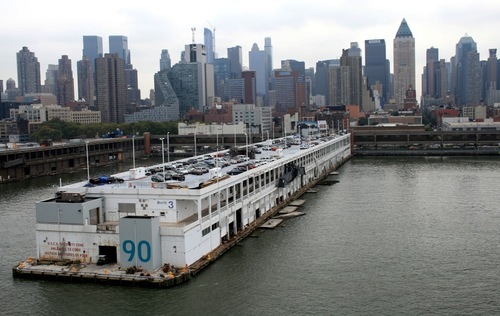 This pier is where our cruise ship, Aurora, berthed on our visit to New York. I like unusual buildings and this gives a different perspective to the usual skyline shots.